When Ron OJ Parson, resident artist at Court Theatre, looks in the mirror, he sees an athlete forever young in the guise of a middle-aged stage director. "The discipline you learn in sports definitely carries over into theater," declares Parson, who at fiftysomething still chases down fly balls in the Chicago Theater Softball League. The Buffalo (NY) native went to the University of Michigan thinking he might make the baseball or football team, and ended up playing rugby. But that was before he dropped out, rethought his life and plunged back into school with newfound determination to make his mark in theater. Not surprisingly, the perennial softball player in Parson sees the creation of a stage work as the shared enterprise of an entire production team. "It has to be a totally collaborative effort, with everybody from the actors to the assistant managers on the same wavelength," says Parson. "I don't feel directors have to go into a project knowing everything. I've directed nearly 20 August Wilson projects and acted in others. If you remain open to possibilities, there's something that happens to you each time that helps to bring about the vision of the author." In Chicago, Parson has directed Athol Fugard's "Sizwe Banzi Is Dead" and August Wilson's "Ma Rainey's Black Bottom" at Court, Mat Smart's "Samuel J. and K." at Steppenwolf and, most recently, Harold Pinter's "The Caretaker" at Writers' Theatre.. 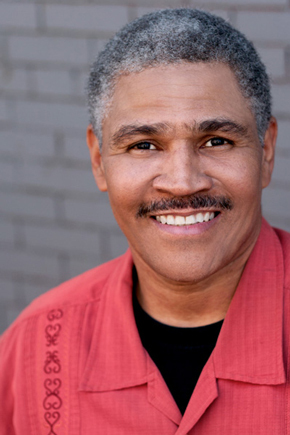 Farther afield, his recent work includes Samm-Art Williams' "Home" at the Signature Theatre in New York, Wilson's "Gem of the Ocean" at the Actors Theatre in Louisville and Wilson's "Fences" at the Portland Stage Company. Esteemed as he now is, Parson admits his career didn't exactly zoom from ignition into orbit. He wobbled a bit on the launch pad at Michigan. "That was in the '70s and there was a lot of pot smoking going on," says Parson with small laugh. "I'd taken courses in every department I could think of until I finally just quit. My father told me, 'Until you know what you want to do, you're on your own.' I had withdrawn from school unofficially, which meant I had to plead my way back in. Took me a year to go through all he proper channels." But by then Parson had the theater bug — an infection he picked up on campus. "I was in the theater building one day when they were rehearsing a play I knew," he says. "I'd acted since I was in the third grade, but I never thought about doing it professionally. They were looking for somebody to take one of the parts, and I ended up in the play." This time, he was hooked. After finishing his degree at Michigan, Parson began graduate studies at Rutgers but couldn't afford to stay. He went back to Buffalo to live with his father and began a period of bouncing in and out of theater. He accepted a gig as artistic director of a company in Flint, MI, only to see that job swept from under him by budget cuts. While pondering what to do next, he took a job in the shipping department at Builders Square (which would become Home Depot). That's when actor-director Stephen McKinley Henderson entered Parson's life, and refocused it. "I'd been recruited by the Studio Arena Theatre in Buffalo as a young black to play the moving man in 'Raisin in the Sun.' Stephen was playing Bogle," Parson says. "We struck up a friendship in the dressing room. He talked me back into theater. "He was directing a show in St. Louis and asked me to be his assistant. But then he took another job and I took over the show, as director. After that I went back to Buffalo and really got into it. With a friend, I started a theater company. Then a friend of mine who worked at the Goodman told me about a play they were doing called "I Am a Man," and said I should audition. I did, and got a part. I'd never really been aware of the Chicago theater scene. There was so much going on here. I wish I had known about it much earlier." In 1995 Parson helped to create Chicago's Onyx Theatre Ensemble, a company devoted to black playwrights. It was during the four-year life of Onyx that he earned stripes as a director. After he was invited by the Stratford (Ontario) Shakespeare Festival to direct the premiere of Joanna McClelland Glass' "Palmer Park" in 2008, Parson suddenly found himself in demand "pretty much all over." Parson's directing philosophy might be described as spontaneous, even free-wheeling. "As we get older, we draw on new experiences," he says. "There has to be openness. Nothing is off limits. It's stifling to be told how to speak. I don't even like the term blocking. I prefer crafting. Every actor has a life and a process of his or her own. If you try to control somebody's passion, you're only going to smother them."